Lightweight Lithium Ion starter battery, 2.86 lb / 1.3 kg, specially developed for motorsport. Operating temperatures vary from -30 Degrees Centigrade to 60 Degrees Centigrade for all models. 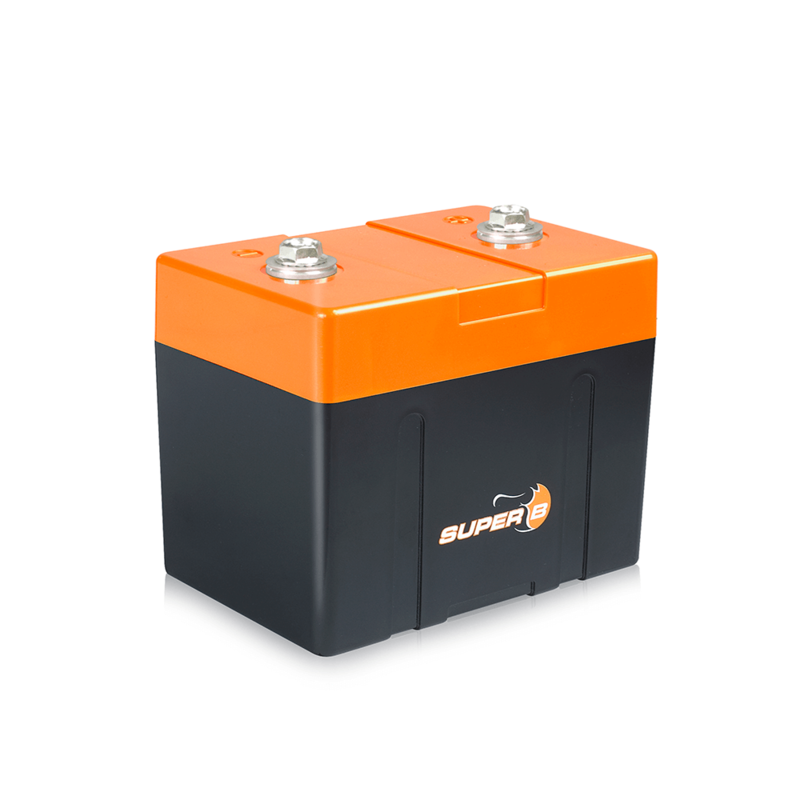 This Lightweight Lithium Ion starter battery, 2.86 lb / 1.3 kg, specially developed for aircraft engines and big displacement motorcycles using up to 1000cc and above but under 4 cylinder engines. Article 2.7.9.5 Battery: The Battery may be replaced. If replaced, its nominal capacity must be equal to or higher than the Homologated type. The F.I.M. has approved the Super B battery for use as replacement battery.